Learn how to successfully dye Easter eggs naturally. Best of all I am using my Instant Pot Easter Eggs recipe so it is quick to whip up, perfect hard boiled eggs each and every single time. 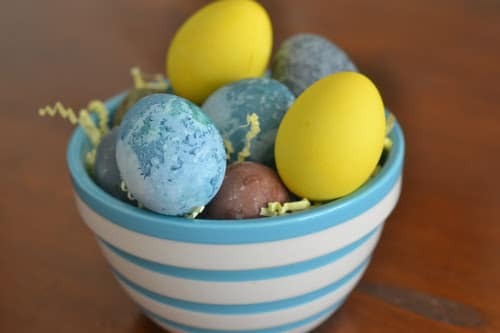 Natural Easter egg dye is where you use foods to color the eggs, instead of the vinegar and color tablets or food coloring. We live in a world that is becoming more aware of dyes we are putting in our bodies from foods we eat that are processed. If you are wanting a more natural Easter egg dye for your children, let me share the foods I used to create stunning eggs. Let’s start by talking about the vegetables, fruits, and ingredients I reached for to create colorful and fun eggs for your children to hunt this Easter! 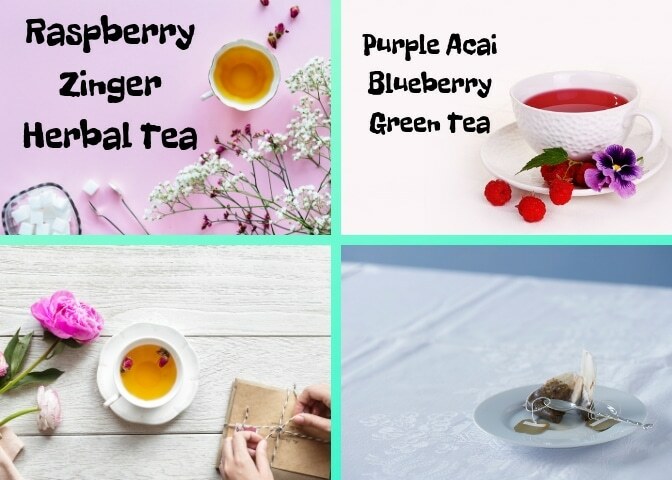 I use my Instant Pot to create dye made from the ingredients below, to really offer rich colorful Easter eggs. There are so many vegetables and fruits you can use, but these are what I used for the colorful eggs you see! By using your electric pressure cooker, it helps make darker dye so it has more of a chance of soaking into your eggshell and giving you a deep colorful egg. What is the 5-5-5 Hard Boiled egg method you ask? You start by cooking your eggs on high pressure for five minutes in your Instant Pot. Then allow the pressure to come down naturally for five minutes. Do a quick release to get rid of any other pressure in the Instant Pot. Then place your eggs in an ice bath for five more minutes. Yes, it is THAT easy to make hard-boiled eggs in your Instant Pot! They come out perfect each and every single time! It is my go-to method that I use anytime we are using eggs in our home! No, they really don’t. Now if you use onions, you might catch an aroma of an onion. But all of these I used above work great. They color the shells, and inside you still, have the perfectly cooked egg. You are able to peel and use the eggs how you want. From egg salad, potato salad, to deviled eggs. The beauty of this recipe is the eggs are totally edible after being dyed! The classic flavor of a hard-boiled egg stays intact. I have seen many people do shaving cream eggs and silk tie-dyed eggs. We have to remember both of those methods make it to where the eggs are not safe to consume after. By opting for natural you don’t have to worry about any chemicals leaking into the eggs then consuming it. 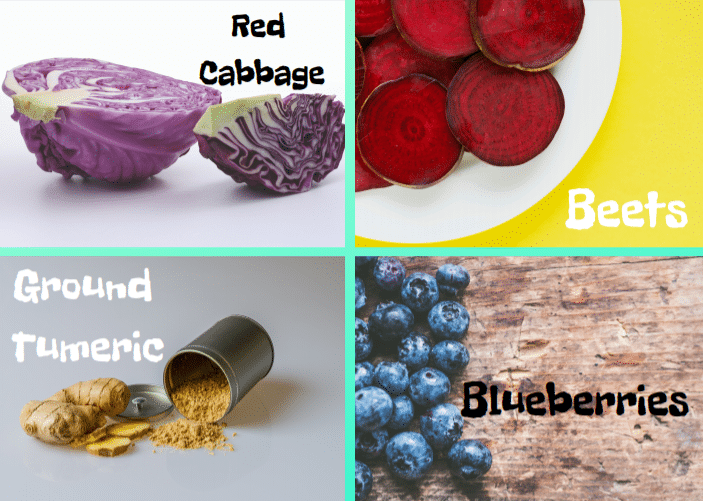 Plus it is a fun experiment to do with a young child to see what foods color your food the best. They can guess what colors the eggs will turn out to be after dyeing them and it can be a fun way to spend time together. 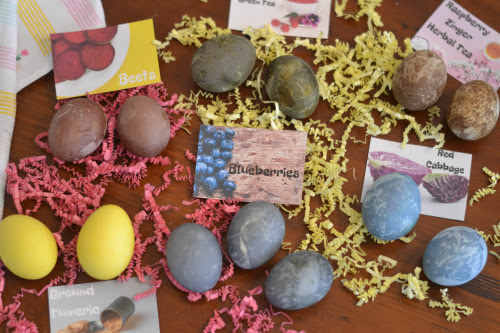 Give my natural dye Easter eggs a try in your Instant Pot today! I think you all will really enjoy it! 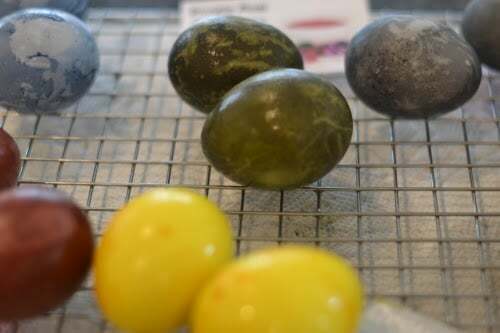 Have you ever natural dyed Easter eggs before? Make sure you scroll all the way down to print your own dye tags. Hard boil eggs using the 5+5+5 method. Set aside in fridge until needed. Pour 2 cups of water into the pot. Strain liquid into a large mason jar, and allow to cool to room temperature. Stir in 2 tablespoons white vinegar and add 2-3 hard-boiled eggs. 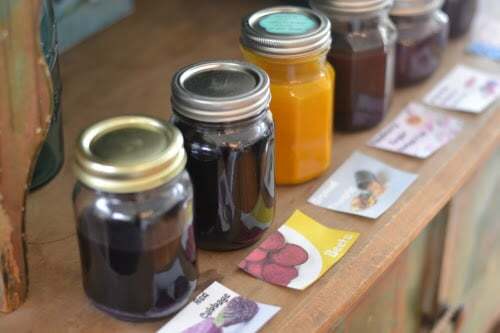 Seal the jar, and refrigerate overnight. Intermittently give the jars a soft shake. Remove eggs from the jars and lets dry on a cooling rack. Keep track of your colors by drying in groups next to your coordinating tag. ** Eggs will have a matte finish. You can rub dried eggs with a dab of vegetable oil to give them a shinier finish. Print your own color tags to keep track of your eggs. I left two blank tags so you can experiment with some other colors.